there is no replacement for clomid. and a50 and deca is not a very good cycle. My opinion is that Clomid is still the best test recovery tool. Take plenty of zinc(in picolinate form or in monomethionine/aspartate form in ZMA) which helps support your natural test recovery. Continue the nolva post cycle. Bill Roberts mentioned that nolva has a similar but much inferior property to Clomid in stimulating test production via LH stimulation. You shouldn't do deca . 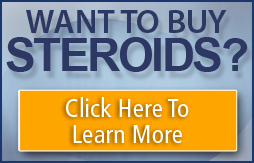 Deca suppress your test levels harder than any other 'roid due to its progesterone-like effect on the hypothalamus. You can read this in MM issue May 1997, in an article written by Micheal Mooney. Anadrol too elevates progesterone levels. Do a test enanthate + eq cycle, which will be less harsh. There is too much pro-est in that cycle. in addition to what they said, don't use hcg post cycle. get only clomid and run nolva through clomid therapy.